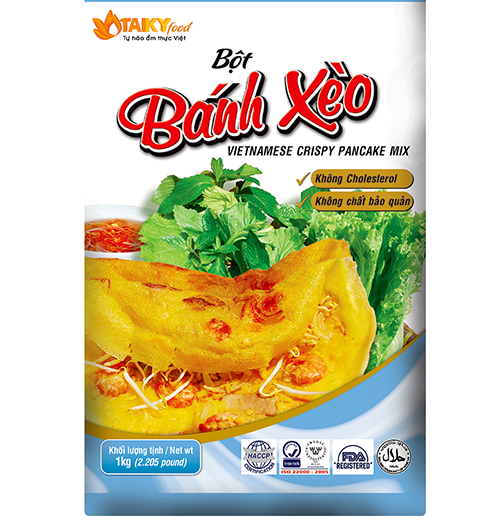 How to make the famous Vietnamese pancake - "Banh xeo"
Banh xeo is one of the most famous pancake in central coast of Vietnam. 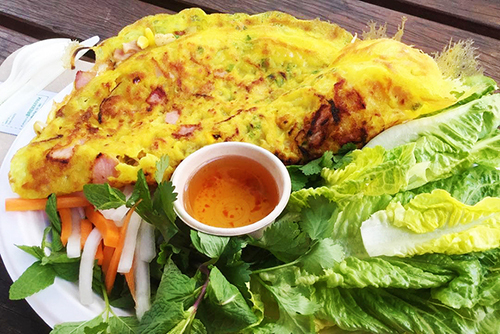 You’ll hear banh xeo long before you see it. That’s because when the batter hits the pan, it crackles in a loudly audible way, alerting its existence to a hungry customer. 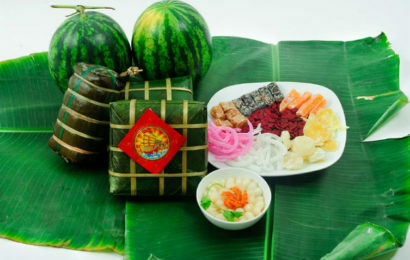 1.This is the kind of flour which you can find out in Asian market. 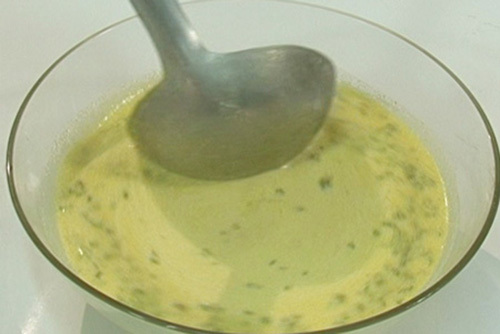 2.Mix well 200gr flour, a tsp of ground tumeric, 300ml coconut milk and 100 ml water. 3.Add minced spring onion, a tsp of salt then leave it for 30-45′. 4. 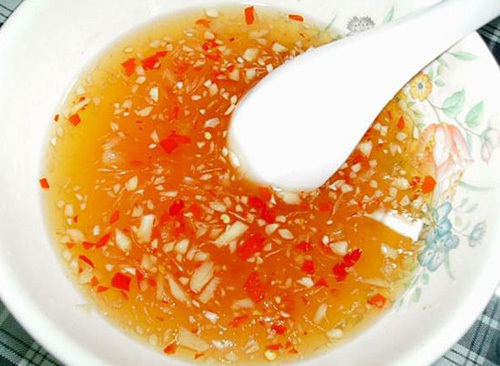 The dip sauce: 5tbs water, 3tbs sugar, 2 tbs vinegar, 2 tbs fish sauce. Add minced garlic and chili. 5. 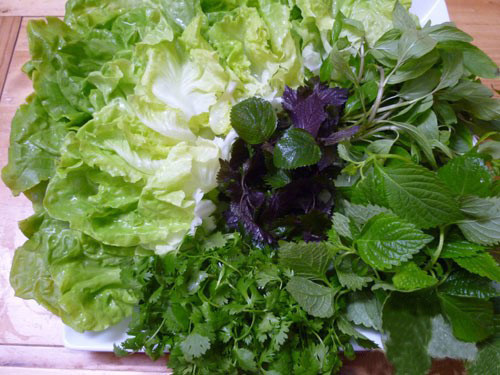 You can use any kind of lettuce or vegetable u like, or pok choy..
6. Prepare mushroom and onion. 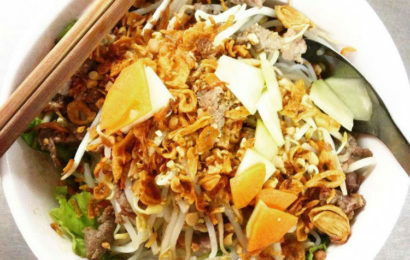 U could add bean sprouts as well… Prepare belly, shrimp, squid or octopus… U can add any kind of meat u like. Cut them small and thin. 7. 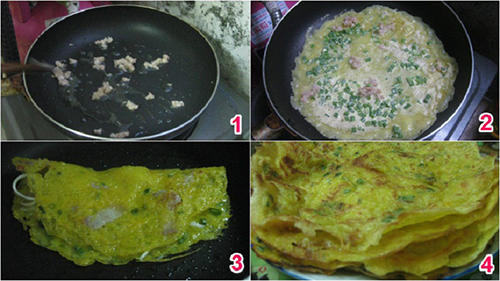 Use non stick pan, medium hot. Add oil. 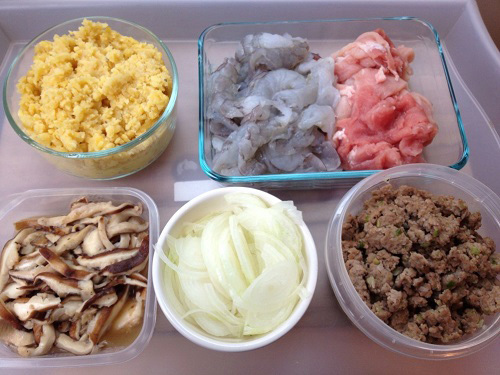 Stir fry mushroom, onion, meat, squid… till they are well. 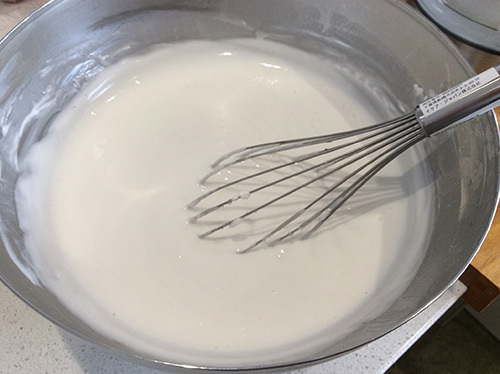 Then, add a thin layer of mixed flour. 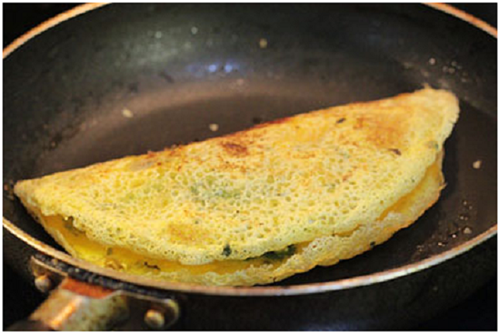 Spread them on the pan thinly. After that, move your pan to cook the edge of pancake till it turns dark yellow and smell good. 8. This is one of better. 9. Yayyy! Serve with fish sauce u made before. 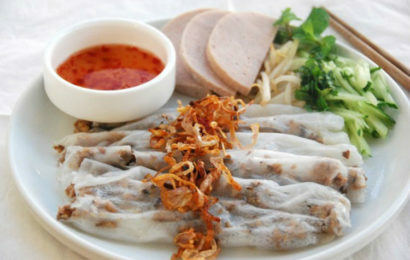 This is finger food so use ur hands to spread the lettuce, put pancake on, roll it like springroll, dip sauce and… Enjoy!